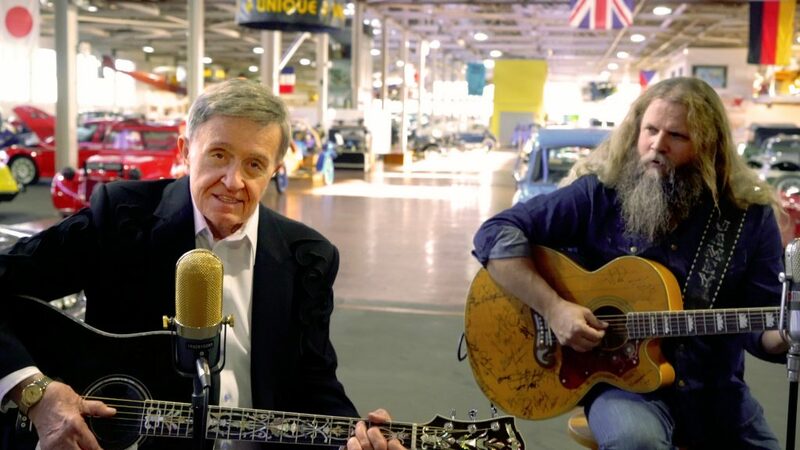 Positioned between classic cars at the Lane Motor Museum in Nashville, songwriting titan and Country Music Hall of Famer Bill Anderson and country outlaw Jamey Johnson bring to life their song “Everybody Wants To Be Twenty-One” in their new video, which premiered on Rolling Stone Country. The song, co-written by Anderson and Johnson, illustrates dual perspectives of the young and old fondly wishing they were again, twenty-one. “Everybody Wants To Be Twenty-One” will be released as a featured track to digital retail and streaming February 22nd, in addition to being available on Bill’s 72nd album, “Anderson”. I consider myself fortunate to have spent so much time writing songs with Whispering Bill Anderson. I feel I have received a valuable education from a true master of our craft,” Jamey Johnson shared. “Everybody Wants To Be Twenty-One” follows the Country Music Hall of Famer’s historic 2018 filled with honors and milestones, including NSAI’s Kris Kristofferson Lifetime Achievement Award and induction into the prestigious Songwriters Hall of Fame. Anderson capped off the holiday season with “Waffle House Christmas,” which culminated in a viral music video featuring Kid Rock, Tanya Tucker, Gretchen Wilson, Jeannie Seely, Erin Enderlin, Joe Denim, Ira Dean, Kelly Ford and many more. Feb. 22 Grand Ole Opry – Nashville, Tenn.
Feb. 26 Grand Ole Opry – Nashville, Tenn.
Feb. 28 Palace Theatre – Crossville, Tenn.
Mar. 09 Orange Blossom Opry – Weirsdale, Fla.
Mar. 10 Florida Strawberry Festival – Plant City, Fla.